What Is the BALi Diet? The key to curing medical conditions like heart disease, cancer and diabetes is your diet, claims former Texas physician Roby Mitchell, M.D. Mitchell calls his plan the BALi diet, short for the Basic Antioxidant/Antifungal Low Insulin diet. While the plan includes some aspects that conform to the U.S. Department of Agriculture's recommendations for healthy eating, the premise that food alone, not medicine, can heal diseases is not supported by scientific evidence. Mitchell's medical license was revoked by the Texas Board of Medicine in 2005 after he used questionable practices on patients. Do not attempt to self-treat any medical problem with the BALi diet; see your doctor. The BALi diet aims to do four things: make your blood more basic, or alkaline; control your body's level of candida, a naturally occurring yeast; aid in insulin regulation; and increase your intake of antioxidants that can inhibit the ability of free radicals to damage DNA and cellular tissue. To do this, Mitchell says you'll need to avoid all types of yeast, wheat, canned or processed foods, refined grains, iodized salt, sugar or artificial sweeteners and regular dairy products. Your meals will consist primarily of fresh or frozen vegetables; organic, unpeeled fruits; low-mercury seafood; free-range poultry; grass-fed, hormone-free meat; nuts, beans and seeds; cereal grains like barley; and plant milks and organic raw goat cheese or yogurt. A typical day on the BALi diet could begin with a breakfast of steel-cut or regular rolled oats prepared with almond milk or raw goat yogurt mixed with one of Mitchell's highly recommended fruits, such as blueberries or blackberries. Lunch could be a sandwich prepared from free-range turkey breast and sprouted grain bread. Grilled fish such as halibut, wild-caught salmon or tuna could serve as dinner. 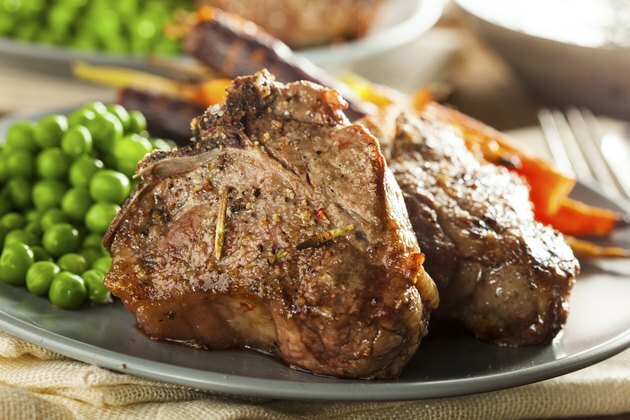 A grilled steak might be another dinner option, but Mitchell specifies that the meat must first be marinated in red wine, dark beer or a mixture containing rosemary, which will supposedly prevent the meat from increasing your risk of cancer. Have fresh fruit, raw vegetable sticks or raw, unsalted nuts and seeds as snacks throughout the day. If you are currently following the standard American diet -- high in fat, cholesterol, added sugars and sodium -- switching to the BALi diet will most likely help you lose weight. Eating more fruits and vegetables and less sodium, sugar, refined grains, processed foods, saturated fat and trans fats may lower your future risk of developing high blood pressure, stroke, heart disease, diabetes, cancer and digestive disorders. It may also help you manage your symptoms if you have already been diagnosed with a chronic medical condition. Research does not indicate that foods can substantially change your body's pH, or that doing so could prevent diseases, says registered dietitian Leslie Beck. Additionally, the American Academy of Allergy, Asthma and Immunology does not recognize candida yeast overgrowth as a proven medical problem and does not endorse diets like the BALi diet that claim to reduce candida. The raw dairy products recommended on the plan may endanger the health of the elderly, children, pregnant women and individuals with medical problems. You may compromise your health if you avoid medication and attempt to cure serious conditions with the BALi diet.